Jaron Mitchell from 4 Pines Brewing Company and Jason Held from Saber Astronautics. Blast-off might have a whole new meaning thanks to Australian companies who are racing to create the world's first 'space beer'. The latest product comes from a joint venture between Sydney-based 4 Pines Brewing Company and space engineering company Saber Astronautics, working together through a company formed seven years ago, called Vostok. With hundreds of people signed up for commercial space flights already, space travel and tourism is predicted to be huge. With this in mind, Vostok's mission is to create the world's first beer for space travellers. Creating a refreshing alcoholic brew that can be 'sipped' in zero gravity is a challenge that's currently being tested with Zero Gravity Corporation, a privately held space entertainment and tourism company that offers (ZERO-G) research flights at Cape Canaveral in Florida, where it recreates the weightlessness felt in space and the conditions experienced in future commercial space flights. Vostok's goal includes solving two critical issues – to create the recipe for the world’s first beer to be consumed in space, as well as the patented bottle technology necessary for imbibing in zero gravity. Brewing the right beer for space was the first challenge. Jaron Mitchell, co-founder of 4 Pines Brewery, has been at the head of this research. Tests have been ongoing to make sure alcohol is safe for people to drink in space and that has been established. The next goal was a brew that tastes good in zero gravity. “The ability to taste is dulled in space,” Mitchell told Food & Drink Business. 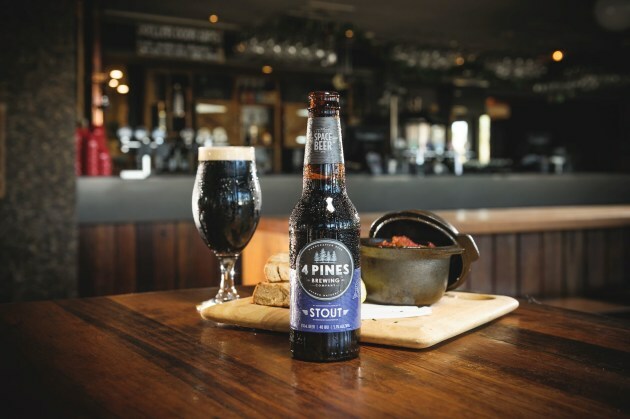 That led 4 Pines to create a dark malt – a special Dry Irish Stout with rich flavour and minimal levels of carbonation that helps avoid 'wet burps' that can happen with drinking in a no-gravity setting. We've taken a page out of the design of rocket fuel tanks and we now have a bottle we know will work in space. 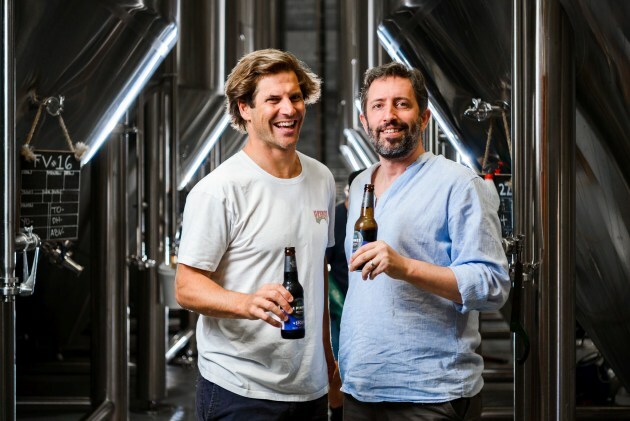 With the beer recipe locked down (it's been commercially available in Australia since 2011), the beer 'bottle' has been trickier to produce. Vostok is now in the final stages of testing a prototype of the world's first beer bottle that will, hopefully, duplicate the experience of beer on earth. Jason Held, CEO of Saber Astronautics, says: “Our testing started in 2011 as we tried to work out how to make the experience feel natural. “We've taken a page out of the design of rocket fuel tanks, and we now have a bottle we know will work in space. Once perfected, the space beer bottle will be a world-first to be manufactured, and available for space-travelling civilians to drink from in commercial space flights from 2019. As a self-funded project since 2011, the next step is to involve the public is a crowd-funding platform starting in April with Indiegogo, that will help raise money for research and development of the bottle prototype as well as for setting up the manufacturing process. The crowd-funding site will sell space beer as well as the chance to win a US$20,000 trip to float 32,000 feet above the Earth on a ZERO-G parabolic flight and be part of the Vostok space beer research and development team to test its prototype bottle.